When you have kidney failure, one or both kidneys aren’t able to work normally. 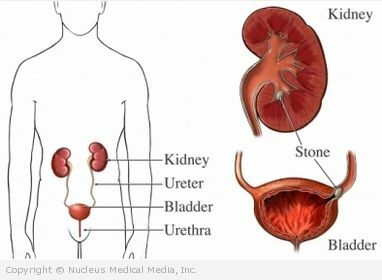 The kidneys remove waste (in the form of urine) from the body. They also balance the water and electrolyte content in the blood by filtering salt and water. Kidney cancer is a disease in which cancer cells grow in the kidneys. The kidneys are two bean-shaped organs, located just above the waist, on each side of the spine. Their main function is to filter the blood and produce urine by which the body rids itself of waste products and excess water. Intussusception is a very serious type of bowel obstruction. It occurs in up to 4 in 1000 live births. The bowel (also called intestine) is shaped like a long tube. 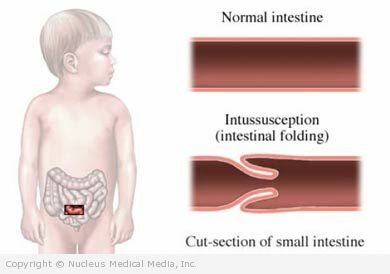 Intussusception occurs when a part of the bowel “telescopes” in on itself and is trapped by an adjacent portion of the small or large intestine. This causes swelling and obstruction, cutting off the blood supply to the intestine. Interstitial cystitis is chronic inflammation of the wall of the bladder. Inflammation can lead to scarring, pinpoint bleeding of the bladder wall, and decreased space to hold urine. 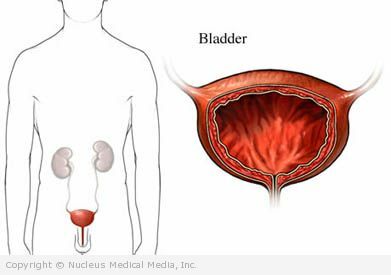 Although the symptoms are similar to those of a bladder infection, there is usually no clear cause. Urinary incontinence is the loss of voluntary bladder control leading to urine leakage. It can be temporary or last for a long time. Incontinence is a symptom not a condition.